Rodney Ferdinand was born in 1925 in Ceylon. 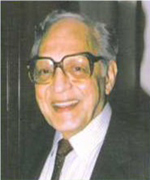 He was educated in Kandy at Trinity College, became a Chartered Accountant and worked in both government and business organisations. In 1962 he migrated to Australia, continued to work in the field of accounting and became President of the Institute of Internal Auditors in Victoria in 1982. Returning to study, he graduated from La Trobe University with a BA in Sociology and has been researching and writing the history of the Burgher community. “As I watched my wife preparing the meal, …. My mind went back to the 'good old days' … during my youth, sixty years ago. The kitchen fireplace consisted of three stones, roughly about the same size, on which the pot was placed with the ingredients inside. Bits of wood, often not quite dry, would be placed under them, some twigs added, and the fire lit with a ginipella (lighted stick). Then the long process of getting the fire going would commence. Grandma's “cookie” (the cook) had a piece of water pipe, about a foot (30 cm) long, and she would blow and blow while the kitchen filled with smoke from the wet green wood. This type of cooking is exciting when out camping but is a lot of trouble if it has to be done every morning. It was not surprising that the cookie always looked like the firemen on the railway! 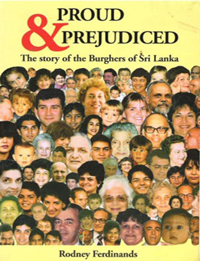 Things had, of course, changed considerably by the time the author left Ceylon in the 1960s. Matches weren't very effective. Too often they did not light when rubbed against the box. There was this story about the tourist who bought a box of matches, struck one, lit his cigarette and threw the box away. A bystander asked him why he had thrown away the box with forty-nine good matches. The reply was 'I was told that in Ceylon only one match lights in every box so I thought I was lucky to find it on my first try'. •Happy, open, welcoming, friendly, helpful, wonderful people with a tendency to be over dramatic. A non-selfish, warm, generous and accepting group who are not insular and look after others as well as their own. •A very happy and social group of people. Talk very excitably. Have an opinion on everything and don't mind an argument. They can have a good discussion. •They all talk at high speed and high pitch. Hard to follow what they are saying. They keep interrupting each other and talking over each other. All shouting and laughing and screaming. I don't understand what they are saying. 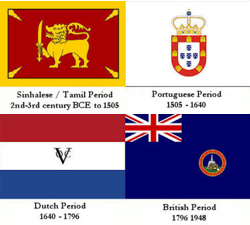 •They talk about Ceylon and what they were doing. •Nine to five workers. Don't bring work home. •An excitable group, kind, good living, good citizens. Food is very important to them. •Charity minded. Concerned with the poor, lonely and needy and this is an integral part of their social life. Very friendly, easy to talk to and very welcoming. Earned my respect. Very social when you meet them. •They talk too loud and too fast. •Very friendly people. .. I feel safe and comfortable with them. They form very stable relationships. •I have been married to one for twenty eight years and I am very happy. They are nice people, generally very easily accepted in the community. They accept you for what you are.